You’ve likely heard an Andrew McMahon song, even if you didn’t know it. The singer-songwriter was the frontman of Jack’s Mannequin and Something Corporate that was the soundtrack for many high school and college students in the early 2000’s. 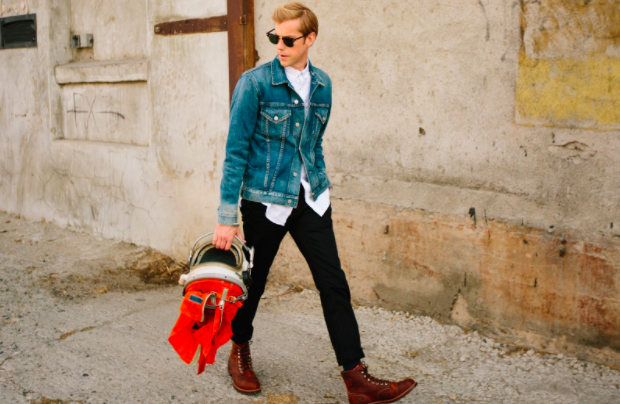 But, the extremely talented musician decided to roll the dice and start a new project in 2014 under the moniker Andrew McMahon in the Wilderness, which feature big songs that are less punk rock in nature and more built for alternative and pop radio stations. The success of the self-titled album, which featured the smash hit “Cecilia and the Satellite” paved the way for a new set of recordings Zombies on Broadway, which will be released on February 10th, 2017. We caught up with Andrew to talk about the new songs, some old songs, and what fans can expect when they see him out on tour. Buzznet: You’ve had a very long and successful career in Something Corporate, Jack’s Mannequin and now Andrew in the Wilderness. But it sounds like your songwriting on your new album Zombies on Broadway has reached a new level. Did you feel that way when you were writing the record? Andrew McMahon: That’s very kind of you to say, I appreciate that. You know, I guess so, to some extent. I think I invested so heavily in the songwriting on this record and worked so hard and so constantly that I feel like it paid off, and we got a collection of really well-written tunes. I think there’s a lot to be said about being in a position to collaborate with amazingly talented producers and writers and to get to focus that into one record. That is where the strength of this album comes from. BN: The record was written in New York City, so how much did the nightlife in NYC play in the making of this record? And are there any adventures you can share that were an inspiration? AM: I think they’re written into the record for sure. Certainly, the song “Fire Escape” is a pretty glowing example of the influence of New York City at night had on the making of this album. I think there’s something to be said about being in a place that is that high energy and goes that late.When I work in LA, which is where I do most of my work, you finish a session between 10 PM and midnight and there’s really not much you can go do after that. Usually, I would finish up around 11 PM and that would be when everyone started heading out for the night. I think there was this energy and I kind of joke that the lyric “never going home” out of “Fire Escape” was a mantra surrounding a lot of the making of this record. There was a sort of full-time celebration at play and it worked its way into these songs for sure. BN: With the success of your self-titled album Andrew McMahon in the Wilderness and the single “Cecilia and the Satellite”, did you find any extra pressure to make a solid follow-up album, or were you mostly just trying to capture this moment of time in your life? AM: Truthfully, a lot of my goal with this record was to get ahead of myself so that I wouldn’t feel any extra pressure, so to speak. I started writing this record before “Cecilia” even became a hit. I think that was really helpful for a couple reasons. I think it made the songs on the record, as far as subject matter, much more dynamic and I think there’s a lot of depth there. When I started working on the record, I think there was a nervousness and a tension over whether I had made the right decision to jump ship on my previous career and start over. I think that question was yet to be answered. For me, a lot of what I tried to do was write constantly so when it got to the point of when we were finished with the last record that I was ready with this one. Luckily, I think that helped alleviate some of the pressure that may have come with having a big song. BN: Do you ever go back and listen to old Something Corporate or Jack’s Mannequin albums and draw inspiration from those or are you always sort of looking forward with this project? AM: Not too often. I will dig back and last year was the ten year anniversary of Everything in Transit, so that record did manage to make its way into my headspace for a while during the writing of this record. Largely just because I was playing those songs for a hot minute and prepping the vinyl to come out and all of that. Sort of circumstantially, I ended up digging back into some of the Jack’s stuff. But mostly when I’m working, I try to focus entirely on that and then sometimes when I’m done, I’ll end up digging back around and going “what did this record sound like?” Many times you’re surprised that your perception of stuff can be so different. But I’m usually trying to stay pretty present when I’m making new music. 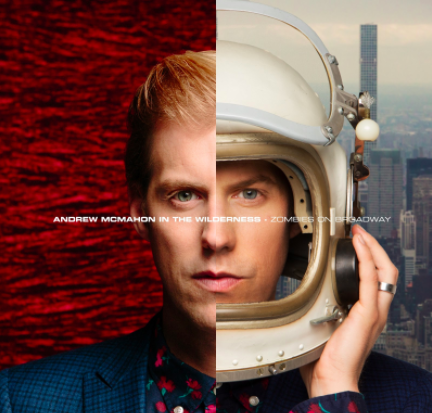 BN: You have a healthy tour coming up and now that you have two full-length Andrew McMahon in the Wilderness albums to choose songs from, will the set list mainly be made of those songs? Or will you continue to pepper in some of the older Jack’s Mannequin and Something Corporate stuff? AM: I’ll continue to try and balance things out. The goal is to always to have a show that works. With these songs coming out, and that fact that there’s been a lot of excitement around this record and the success of the last record, we will certainly load the setlist with new music. But, there’s always time to dig backward and work in some tunes that have been favorites over the years for fans. We like to keep everybody happy. BN: Must be nice to always have a few older hits in your pocket that you can always pull out, right? AM: Well, I think the goal of this work is to make big songs. You want to make songs that a lot of people like. That’s what we’re in this for. The beauty of having those from each record over a number of years is that it makes the show a lot of fun because you can sort of dig around and make a pretty unique setlist from night to night and still play from all eras of the catalog. BN: Speaking of going back in the catalog a bit, were you ever or are you surprised by the popularity of “Konstantine” and how that song took off for fans? AM: Not really. I think even when I wrote that song, it was so obvious to me that there was something in its DNA that hit people. It came from a very real place. From the first time I played it in my garage for a handful people to the first time we played it on stage, it was clearly like a reactive and connective sort of song. So, no it doesn’t surprise me. I think at this point what surprises me is that people don’t get why I don’t play it sometimes. To try and jump into a ten-minute ballad that you wrote when you were 17 is a lot harder than to jump into a three and a half minute up-tempo song from the same time. No matter how much people love it, it does something to the setlist that can be tough to recover from because of the space that it takes up. But, I love that song too. I think that people mistake the fact that because it doesn’t end up on a lot of setlists, that I’ve abandoned it, or don’t appreciate it. I get why people love it and I feel the same way about it. BN: You’ve had a long career, been in three successful bands, have seen the world. What advice would the Andrew McMahon of the Zombies on Broadway era tell the Andrew McMahon of the early Something Corporate days that he didn’t know before? AM: Wow. That’s a very good question….Hang in there. It’s going to be a long ride!